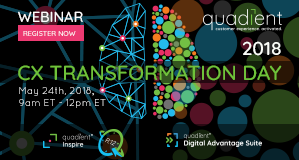 Replays of the latest CX Transformation Day sessions, originally airing on May 24th, are available to provide you with a comprehensive overview of our newest release: Inspire R12 and the new Digital Advantage Suite. These sessions cover what you need to know about Customer Experience, Digital Experience, the new General Data Protection Regulation (GDPR). The Quadient® award-winning CCM solution, Inspire, helps companies around the world design, manage and deliver personalized, accurate and compliant communications across all channels, from one centralized platform. 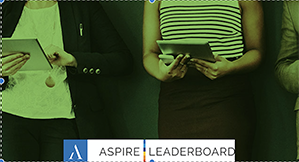 The Aspire Leaderboard is an online positioning portal that provides a dynamically interactive vendor comparison. 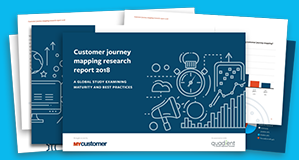 MyCustomer’s 2018 research report on customer journey mapping reveals several key areas: The development of the practice, who owns CJM in an organization, business tools that are necessary to complement CJM, and how an organization perceives its own success with CJM. 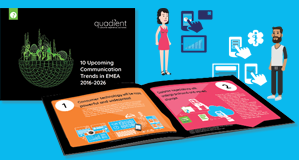 This E-Booklet highlights the 10 most relevant communications trends in EMEA from 2016-2026. You will learn what's happening with consumer technology, the changes to customer expectations and how, when and wear they will access products and services as well as the developments of enterprise technology, infrastructure and communications. A shift to digital CCM is more than attaching a PDF to an email. 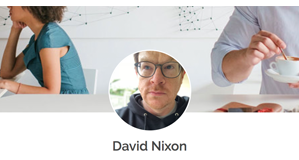 David, from NEW ZEALAND POST LIMITED is another strong advocate for Quadient and created an awesome story about why his team enjoys using Quadient Inspire every day. Click here to read his story. Are you interested in producing an Upshot story of your own? Join the Quad to get started! They say that print is a dead medium. ANRO thinks it is just getting started. 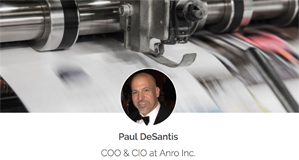 Paul DeSantis, COO & CIO, Anro Inc.has created an Upshot story about how the print market is changing and how Quadient is helping them achieve these necessary changes. Click here to learn more. We hope that you enjoy this edition of the Quadient e-newsletter. We are constantly looking for ways to improve our communications and content to serve your needs. If you have feedback for our team on content you would like to see in future editions, please reply with your ideas and comments.